Based in Boulder, Colorado, Katie currently tours and records with the Western Flyers, and leads her own band, Katie Glassman and Snapshot. She also maintains a thriving private teaching practice and travels to teach at music camps throughout the country. 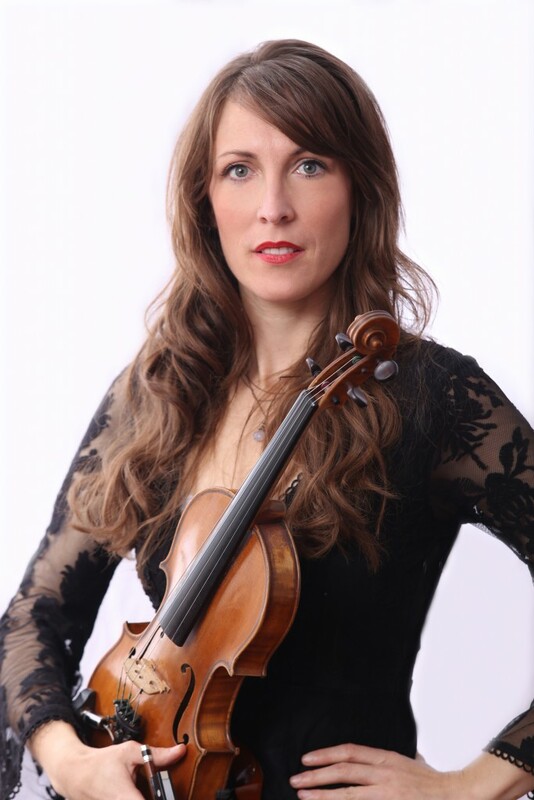 Katie holds a Bachelor’s in Performance with a Jazz Certificate from University of Colorado, Boulder, and in 2007 spent a year studying jazz violin at the world renowned Centre Musique Didier Lockwood in Dammarie-Les-Lys, France. In 2015, Katie won the National Swing Fiddle Championship in Weiser, Idaho, took first in both the Bob Wills and Open divisions at the Bob Wills Festival and Fiddle Contest in Greenville, Texas and is the three-time reigning Colorado state fiddle champion. Other notable victories were in 2013 at Rockygrass in Lyons, Colorado, and Walnut Valley Festival in Winfield, Kansas, to name but a few. While success in the contest arena is a testament to Katie’s lifelong dedication to her instrument, her singing and songwriting are increasingly taking center stage. 2011 saw the release of Snapshot, her first album of all original material. Katie has since continued to hone her creative process with the same focus and commitment to excellence that she brings to her fiddling. In 2014 she was awarded a prestigious Ucross Residency, where she spent a week in rural Wyoming writing. Her songs explore modern emotional landscapes with sensitivity and wit while still drawing from the deep well of traditional American styles. Katie Glassman and Snapshot’s most recent release is 2014’s Dream a Little Dream, which features close collaboration and co-writing with her fine band. They have toured extensively in support of the record and have garnered a national following for their marriage of old-time Western music with contemporary songwriting and musicianship. With the formation of the Western Flyers in 2015, Katie has found her ultimate musical home. Guitarist Joey McKenzie and bassist Gavin Kelso are Katie’s counterparts on their instruments; lifelong devotees of western swing and Texas fiddle music who have completely immersed themselves in the style. They are inarguably one of the best swing rhythm sections a fiddler could hope to play over. With a forthcoming release in 2016, the Western Flyers are poised to be a significant force in the world of Western music. With performances already logged at the Library of Congress and national and international tours planned, they are a band in full swing.